Born Kara Zor-El on the doomed planet Krypton, Superman’s long-lost cousin Supergirl shares his iconic ‘S’ emblem and all of his phenomenal superpowers. Still searching to find her identity on Earth, the Girl of Steel takes flight in adorable Q Posket form! 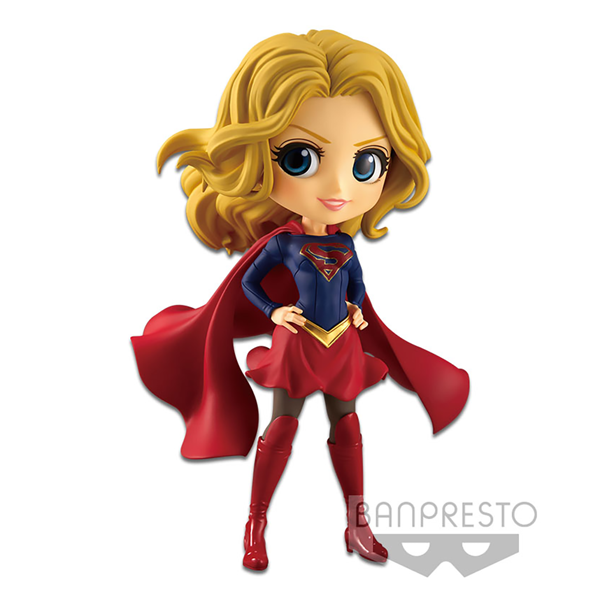 This figure features Supergirl in her iconic costume. Add her to your DC collection today!